Cost Overruns And Delays In Energy Megaprojects: How Big Is Big Enough? Is bigger worse? The idea of this paper, published in the journal Energy Policy, was to investigate the hypothesis that the probability distribution of megaprojects’ performance factors is more asymmetrical than that of small/medium projects, with a special focus on mega hydroelectric dams recently built in Brazil. Why does it matter? If construction cost overruns and delays are brought to bear ex-ante in the decision process, the decision on how to expand the energy system changes to one where more renewable energy, and therefore fewer emissions, are the preferred cost-optimal solution. According to the authors from the Federal University of Rio de Janeiro, the energy infrastructure industry generally undertakes large projects, with technical and administrative complexities that can involve several subprojects from different areas, internal and external participants, and have large capital needs. For an infrastructure project to be considered a MEGA project, large amounts of investments are necessary — more than one billion dollars to be exact — and they are generally described as high-risk, complex, with a high degree of uncertainty and intense in social and environmental impacts while involving many stakeholders. In simple words, there are many who are interested in the development and many others who are not really interested in it. There are many examples around the world about these multi-million-dollar infrastructure megaprojects, which in recent decades, have increased in magnitude and frequency. Giving names, we have the Three Gorges hydroelectric plant in China; the Kemper Project, a power generation facility that is the first of its kind to employ large-scale gasification and carbon capture technologies in Mississippi, USA; Jubail, a petrochemical industry built from sand in Saudi Arabia, and many others. What do all these projects have in common? As more and larger infrastructure projects are being built, it is becoming clear that many of these have very low performance in economic, environmental, and social terms. Initially promoted as effective vehicles for economic growth, they have become possible obstacles to it. What has been driving mega energy projects? The most obvious reason for companies to invest in megaprojects is the perception that large projects will produce economies of scale. In microeconomics, economies of scale refer to the costs reduction resulting from the increase in the size and use rate by an enterprise. Formally, an increase in production volumes may imply an increase in production costs to a greater or lesser extent. This conventional wisdom is applied in the energy industry aiming at efficiency gains, through the implementation of large centralized production units. Historically, the energy system’s success has become associated with this assumption. Planners believed that energy systems should be composed of a few, but large, units of supply and distribution and that these units should be composed of large monolithic devices rather than small redundant models. However, excessive cost overruns often put project viability at risk and, in the case of mega hydropower projects, cost overruns are almost a rule as are shown by the existing literature. The Belo Monte mega hydropower project is not an exception; it is a lesson, in fact, too big to be ignored. Belo Monte is one of the world’s most controversial dams, indigenous peoples and social movements in the region have fought against its construction for more than twenty years. But in 2002 the plan was launched under a new engineering design. The powerhouse would have 11,233 MW of installed generating capacity, however, would generate an average of only 4500 MW. Belo Monte would operate at peak capacity for only a couple of months during the year. During the four-to-six month-long, low-water season in the Xingu river, Belo Monte would generate as little as 1000 MW (average) of power. To summarize, in the past decade Belo Monte was always treated as a strategic project by the Brazilian government. But should mega hydropower projects in the Amazon region be really understood as strategic? For the authors what is strategic is to meet the demand for energy services. Energy projects should be treated as energy projects only and should be evaluated under this sole perspective. Although megaprojects demand a lot from the value chain, they do not necessarily employ more than modular designs. According to Locatelli et al. (2017), megaprojects are large unique projects where public actors play a key role and are very likely to be affected by corruption. An “elephant in the room” that needs to be acknowledged and discussed; even more under a public governance where the phenomenon of corruption seems to be endemic, as has been the recent case of Brazil. Belo Monte also has a panoply of social impacts. Displacement of the human population that inhabits the areas chosen for flooding is one of the most immediately evident impacts; more than 20,000 riverine and urban people who depend on free-flowing rivers for their livelihoods were displaced. More than 100,000 migrants arrived in Altamira in search of work. The riverine families would compete with migrants for the jobs, most of them low-paying ones. In addition, the social impacts expected and common to large construction projects, such as prostitution, drugs, alcohol, and crime, were not discussed in the manner they merit. Environmental impacts extend to the entire river basin, including changes from altered sediment and water flows as well as loss of aquatic fauna and loss or disturbance of vast areas of forests, floodplain, and other ecosystems. The Brazil case is emblematic, but not unique. 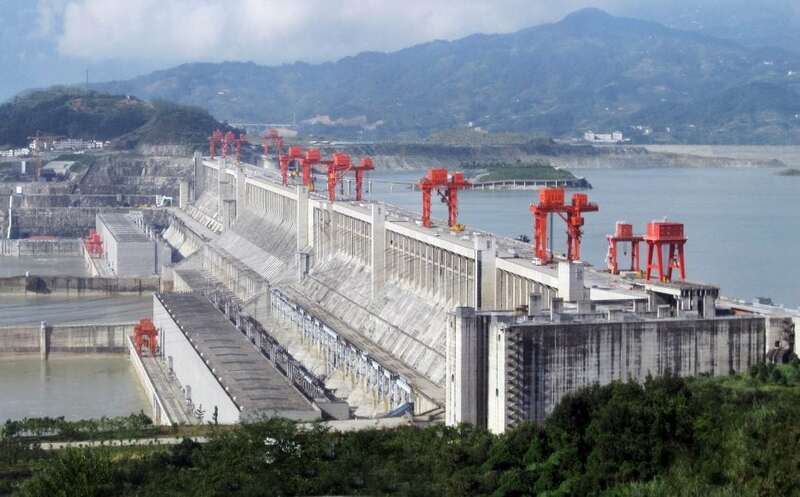 The Three Gorges Dam, in China, was classified by the International Rivers Organization as a model for disaster. The fourth-largest hydropower constructed in the world, Belo Monte, corroborates with one more failure in energy megaprojects for the literature and for society. The project failed due to mistakes in decision-making based on the conceptual project, environmental and social costs not correct allocated, contract management, financial risks, and corruption. In statistical terms, the essential results message obtained in this work is that larger projects involve uncontrollable risks that cannot be anticipated and adequately mitigated. Economies of scale that are embedded in large projects face exposure to risk that is disproportionate to the financial savings they can generate, which leads to cost overruns and delays in the project. Decision makers should carefully evaluate “how big is too big.” More numerous small energy solutions could be more prudent from the perspective of risk management and net present value maximization. For now, before undertaking a megaproject, decision-makers should rigorously consider other alternatives. These findings are described in the article entitled Cost overruns and delays in energy megaprojects: How big is big enough? recently published in the journal Energy Policy. This work was conducted by C. Callegari, A. Szklo, and R. Schaeffer from the Universidade Federal do Rio de Janeiro. Camila Ludovique is an industrial engineer at the International Institute for Applied Systems Analysis. Camila Ludovique Callegari joined the Energy Program (ENE) at IIASA as research assistant, as part of the cooperation program with the Coordination of Improvement of Higher Level Personnel (CAPES) of the Brazilian government. 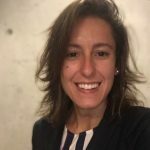 Ms. Callegari is currently a PhD student with the Energy Planning Program of the Federal University of Rio de Janeiro, which teaches research and development activities related to the areas of Energy Planning, such as energy technology, energy economics, energy models and energy and environment. She holds a master’s degree in Energy Planning, having graduated in Industrial Engineering.